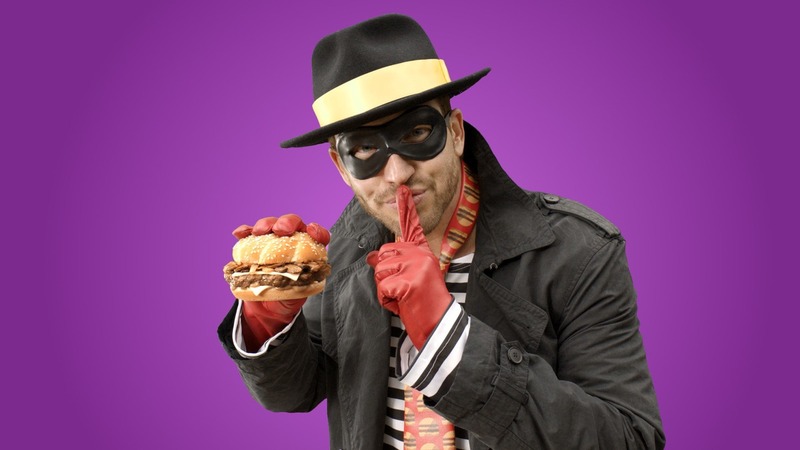 Is he telling us to be quiet or the burger?!? 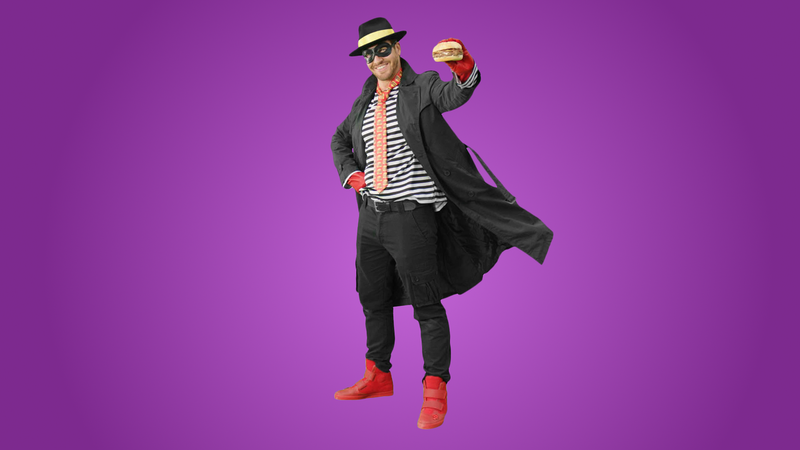 Upon hearing buzz that McDonald’s has brought back that scamp the Hamburglar to network TV after a 13-year hiatus, ostensibly in Burger Thief Jail, the image of the chubby-cheeked, one-toothed masked beef marauder might come to mind. But lo — the scamp is gone, replaced by a suburban dad with a full set of teeth, a five o’clock shadow on his chiseled jaw and a penchant for red leather high tops and trench coats. Fresh update to an old favorite or mildly horrifying? We can’t begin to process our feelings on this one.